Marawi City - Teachers, soldiers and volunteers swept trees away, threw trash, saw damage in some classrooms used in elections, spoke on teachers and schools’ needs and dialogued on peace and order, and prayed together. And they even sang together , The More We Get Together. This was a joint activity of Task Force “KASALIMBAGO”, PNP, DepEd-ARMM and the 103rd Infantry (Haribon) Brigade, 1ID together with its operation (OPCON) units . 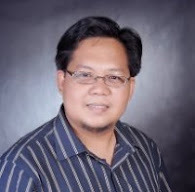 “BRIGADA ESKWELA” 2013 will go to different schools in Marawi City, Lanao del Sur from May 21-25, 2013 to help and offer assistance to the teachers in the various schools to clean their area before the academic year 2013 – 2014 starts. The groups supporting the activity aimed to assure the students and their parents particularly in elementary schools that maintenance of cleanliness in the school grounds is essential and vital in school-management to generate an environment of order to acquire quality and excellent education. The activity would help the students to have peace of mind and to feel comfortable while they are in school. Wednesday, 22nd of May 2013 the group visited three elementary schools in Marawi City namely - Angoyao Central School, Cadayonan Elementary School and Calocan Elementary School. Angoyao Central School had a meaningful story to share in that the Supervisor's room was shot at showing a bullet through the window Sunday 3 in the morning before Monday elections. One room's teacher was almost torched which traumatized the teacher to this day. Threatened by some 5 shots in the air , during the elections, the teachers were not cowed and they continued their duties during Monday. Piraco Abedin Macadato, a grade 1 teacher, said the teachers conducted a meeting a week ago and decided to have their Brigada Eskwela this day. Angoyao Central School was also one of the voting centers during the National and Local Election held last May 13, 2013. The teachers already expected that aside from fixing the chairs and tables, painting the flag poles and black boards and cutting the grass of the school grounds, they will also clean the mess that was left during the Election day. Principal Mariam D. Lala, District Supervisor Topnine Abedin and a District Staff Aileen Pangadapun requested for an assistance to fix a number of rooms in the school that was damaged due to an Election Offense that was done night before the Election Day. One of the rooms there was attempted to destroy by fire but fortunately it was stopped before the fire could damage the whole room . The crime report was already forwarded to the PNP and the investigation is going on. After Angoyao Central School, the team moved to Cadayonan Elementary School which had some 400 to 500 students. Zamanorong A. Luma, the School Principal conveyed that their Brigada Eskwela started last April 21, 2013 up to this date. Their primary concern was the lack of chairs and tables for the students. There are 12 teachers working and operating in Cadayonan Elementary School. Caloocan Elementary School was also visited by the team. Caloocan Elementary School was badly affected by Typhoon Sendong and Pablo. Some parents have opted to transfer their children because of the damaged schoolbuildings. The school can even be prioritized because it can be considered as the school that is worst hit by disasters as provided for in the Law on Disaster Risk Reduction. Administrators face a huge problem before the classes start because parents will be forced to withdraw their children and enroll them in other schools. However, it became a very auspicious day to them because visitors from the BEAM Project, ARMM came to offer assistance to needy schools. Almighty is great. ASDS Ana Zenaida Alonto-Unte together with Engr. Floriano Araňez and Jing Chavez, members of the Infrastructure team of the BEAM Project handed 20,000 pesos to the Caloocan Elementary School’s Administrator as a partial help for the materials that will be used to repair and fix the damages of the said school. 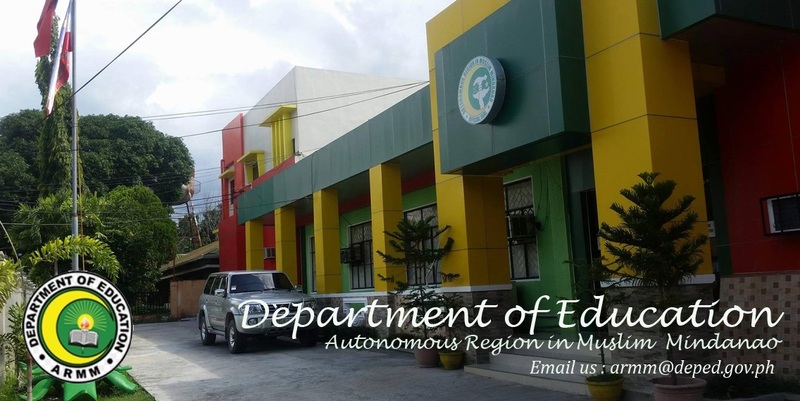 The BEAM Project of the ARMM chose the five schools in Marawi City, Lanao del Sur and offered classrooms rehabilitation and renovation to turn the classrooms into a new building. They also might assist in the construction of a new building and most importantly repairing water system for the maintenance of the cleanliness of the school. After each visit to the three schools, a mini-program is conducted to discuss the concerns and problems seen. Possible solutions were presented to the school administrators. Here is a salute and recognition to the teachers and to the security sector, PNP and army for their support to make the Elections and the Brigada activity successful. May bayanihan be institutionalized to invite parents, imams and communities together in a regular dialogue and pulong pulong. Sepcial mention to Major Mocsana , 103rd Brigade, Sergeant Aberin (grass-cutting), PNP Inspector Salimbago, Provincial Director Moksan, Inspector Acuna, and the Principals who shared meals after the clean-up.